Deligtful bouquet with Roses, Gerberas, Chrysants, Lysianthus, Palms. Sameday delivery available. 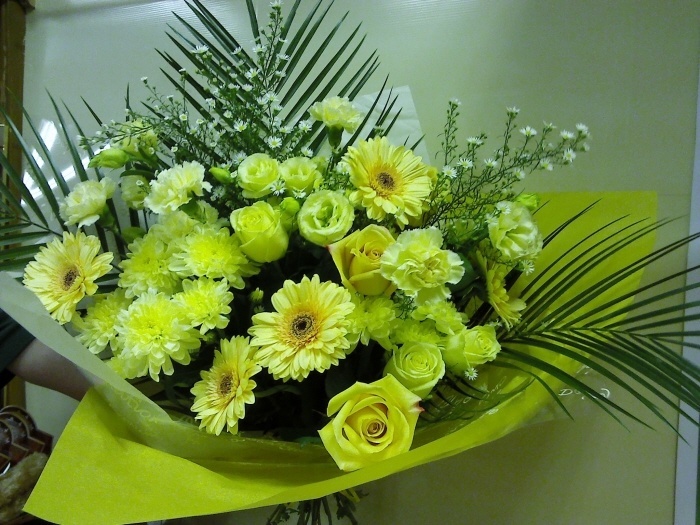 Bouquet of seasonal cut flowers nicely wrapped in cellophane to compliment the flowers. Great gift for a birthday, anniversary, get well or just to say thank you. A bouquet of fresh cut flowers is always a great gift for someone who likes to arrange flowers themselves.